Today in part 3 of my blog series exploring, The Gut Microbiome and What It Means for Your Health, I’ll be sharing how Traditional Chinese Medicine treats the Microbiome. Chinese medicine considers the interplay of five elemental organ systems working together in the body’s inner ecosystem. The Spleen and Stomach comprise the earth element and also are considered one of the most important foundations of health.They are the source of qi and blood through food and are mainly involved in digestion, as well as immunity, blood cell development, and metabolism, roles that are functionally consistent with the roles of the gut microbiota. Consider that dysbiosis of the gut microbiota results in poor appetite, diarrhea, or constipation, which mirror the symptoms of spleen and stomach deficiency and dampness in Chinese medicine. Studies have shown that mice with diagnosed spleen deficiency have a decrease of lactobacillus and bifidobacterium and are improved by the herbal formula known as Si Jun Zi Tang–The Four Gentlemen formula which includes radix ginseng, radix codonopsis, rhizome actractylodes macrocephalae, poria cocosand radix glycyrrhizae preparata (Wang, Zhang, Xu, Gu, Zhang, Ji, Liu and Chen, 2018). In addition, TCM relies on pattern differentiation through four diagnostic methods, which include observation of face and tongue, pulse, inquiry, listening, palpation and observation of scent. The appearance of the tongue coating, which is mainly affected by bacterial activity, is an essential component of syndrome differentiation. Microbial community studies have shown that the oral microbiota affects the color and thickness of the tongue coating,while both oral and gastric microbiota can induce halitosis (Sun, B., Zhou, D., Tu, J. & Lu, Z. 2017). Supporting the Spleen and Stomach qi through herbs, diet, and supplementation can show marked effects on the microbiome, as well as digestion, overall health and energy. 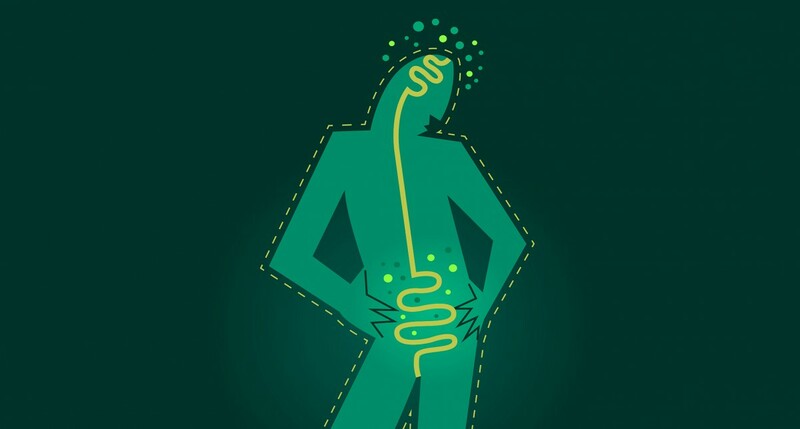 Stay tuned for the next blog in my series on the gut microbiome where I address, How You Can Support Your Microbiome. Sun, B., Zhou, D., Tu, J. & Lu, Z. (2017). Evaluation of the bacterial diversity in the human tongue coating based on genus-specific primers for 16S rRNA sequencing. BioMed Research International. Wang, R., Zhang, L., Xu, J-J., Gu, Z., Zhang, L., Ji, G., Liu, B. & Chen, B-C. (2018). Human microbiome brings new insights to traditional Chinese medicine. Journal of Bio-X Research,1 (1), 41-44.